Thanks Disney for giving me a Belle Costume set for my daughter along with the BEAUTY AND THE BEAST Blu-ray. All opinions are my own. My daughter and I enjoyed a spot of tea out in the garden before heading inside to watch Disney's live action adaption of BEAUTY AND THE BEAST. The movie, a great addition to any home's video library, is now available on Blu-ray, DVD and Digital HD. My daughter was delighted by the film when we saw it together at the movie theater and is thrilled she can watch it anytime she wants now. 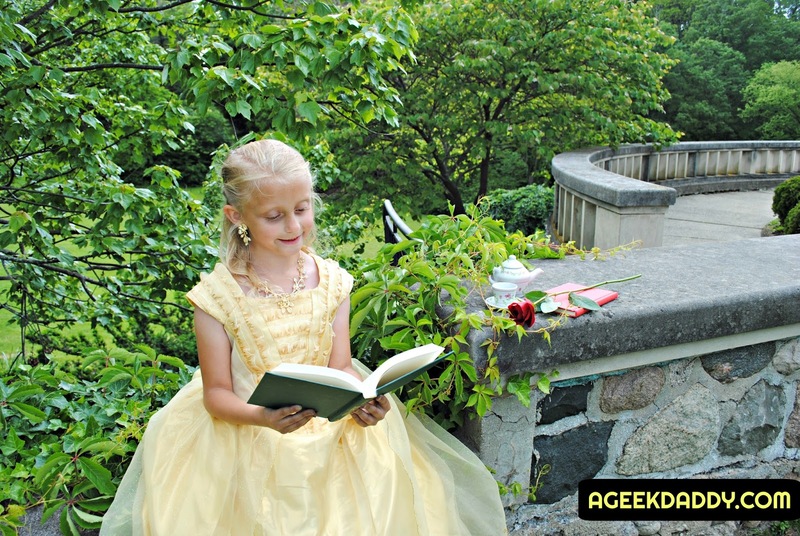 In this fairy tale fantasy, Belle, a bright, beautiful and independent woman with a love of reading books, discovers that her father has been imprisoned in the dungeon of a cursed castle for trespassing upon the property. She is able to get him set free by promising the Beast that is lord of the manor to take her father's place as a prisoner in the castle. My daughter adores Emma Watson from her role as Hermione Granger in the Harry Potter films and loved the actresses performance in BEAUTY AND THE BEAST as Belle. 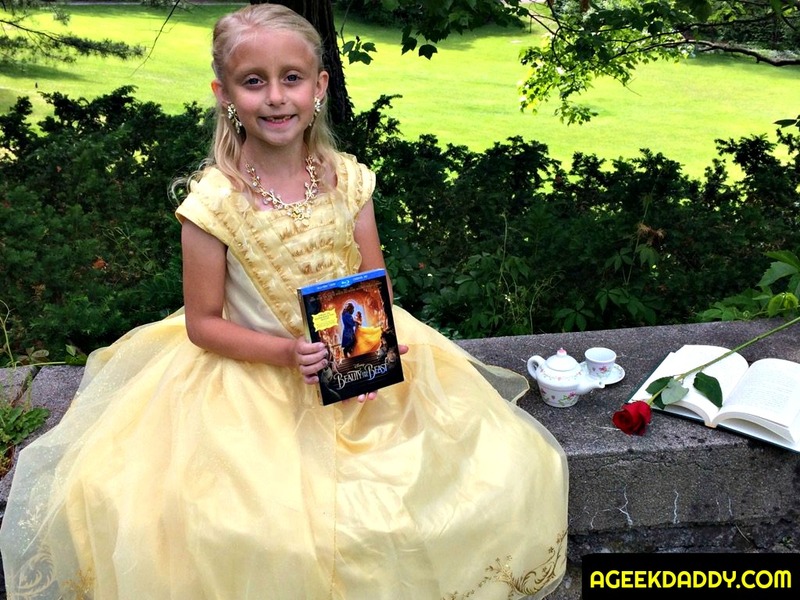 For some of our past Harry Potter movie nights she has had fun dressing up as Watson's Hermione character and was so excited to put on a Belle gown to wear for our first viewing of BEAUTY AND THE BEAST on home video. 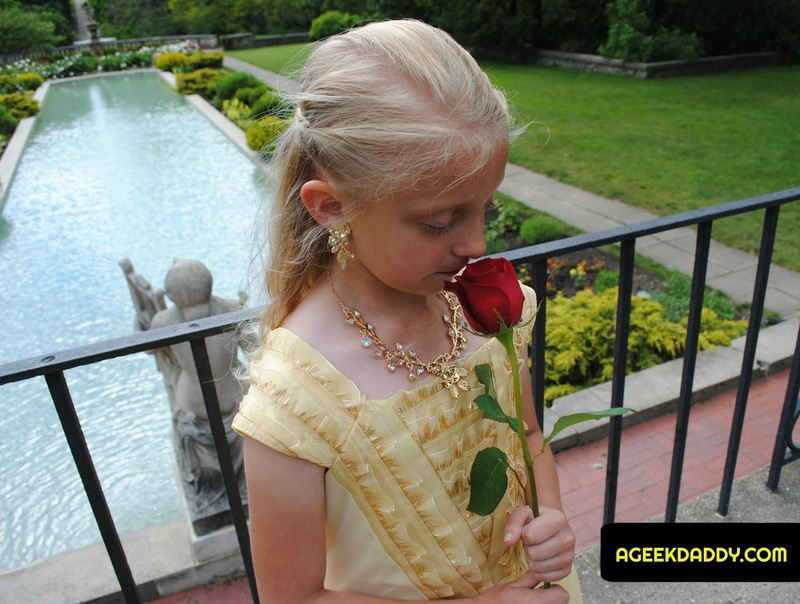 The Disney Store provided us with a Belle Costume for Kids which included replicas of the dress, shoes, and jewelry worn by Watson in the movie. My daughter especially loves the finally crafted costume jewelry that came along with the outfit that included fancy clip-on earrings, an elegant hair comb, and a beautiful necklace which features a snap together oval bead clasp for the fine link chain. The jewelry set came in a very nice storage box which contains an ivory satin bed for the items to rest on and a carrying strap so little girls can take it along with them on their own fantastic journeys. The dress has some elegant touches to it as well. Glittering floral filigree and golden hem stitching grace the front and back of the gown. It is make from satin with a bodice that has ruffled organza overlays and trims. Rounding out the ensemble are the shoes which have embroidered feathers and decorative bows outlined in glittering gold. Belle is terrified of the Beast and turned off by his bad behavior as she lives in the castle. As time goes by she befriends its enchanted staff and starts to become at home there. With some help from these bewitched furnishings both Belle and the Beast make an effort to get to know one another. She learns to look beyond the Beast's hideous exterior and realize there is the kind heart within it. This is where the adventure really begins! What happens next? You'll have to pick up BEAUTY AND THE BEAST on Blu-ray, DVD or Digital HD to find out! BEAUTY AND THE BEAST is rated PG for some action violence, peril and frightening images that overall is a very family friendly movie. Alan Menken, who won two Academy Awards (Best Original Score and Best Song) for the animated version of Beauty and the Beast, also provides the score for the live action film which includes new recordings of some of the musical performances from the animated movie along with three new songs he has written in collaboration with Tim Rice. Celine Dion who has performed several very memorable musical numbers in motion pictures also contributes to the soundtrack for this movie performing one of the new songs "How Does a Moment Last Forever." BEAUTY AND THE BEAST also boasts an excellent cast that in addition to Watson as Belle includes Dan Stevens (The Ticket, Night at the Museum) as the Beast, Luke Evans (Fast & Furious, The Hobbit) as Gaston, Kevin Kline (A Fish Called Wanda, Dave) as Belle's father Maurice, Josh Gad (A Dog's Purpose, FROZEN) as LaFou, Ewan McGregor (Star Wars Episodes I - III) as Lumie, Audra McDonald (Annie, A Raisin in the Sun) as Madame De Garderobe, Ian McKellen (Lord of the Rings, X-Men) as Cogsworth and Emma Thompson (Love Actually, Brave) as the teapot Mrs. Potts. In addition to deleted scenes there are also a variety of extra features included with the movie on home video. 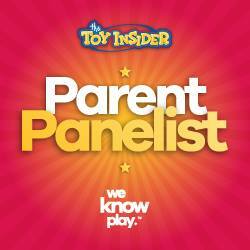 These include watching an elaborately staged table read that took place before the movie began filming, a documentary on transforming the popular animated film into a live action movie that will be a classic in its own right, a featurette on the making of the musical sequences and a "Beauty and the Beast" music video. Also you'll want to watch the extended song segment about "Days in the Sun" which provides viewers some details about the Beast's childhood within an alternate version of the song from the movie. 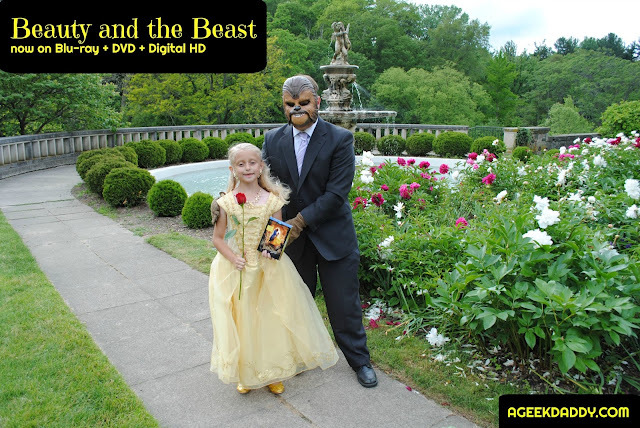 Add BEAUTY AND THE BEAST to your Disney Movies Anywhere digital library or on Blu-ray or DVD as part of your home video collection. While it may be a tale as old as time this movie is a delightful fresh approach when it comes to telling this wonderful story. 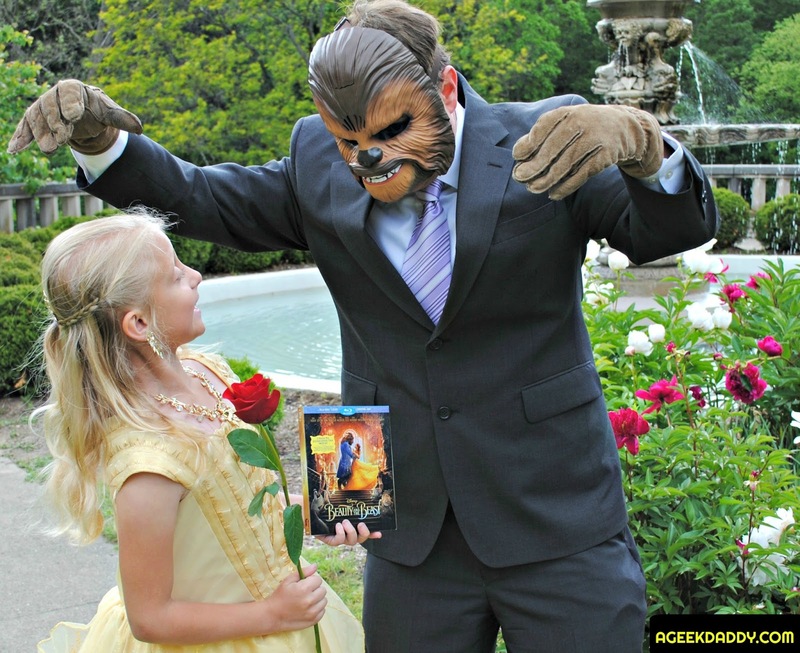 BEAUTY AND THE BEAST is a great movie night selection that your family will want to watch over and over again! I LOVE Beauty and the Beast. The animated movie has always been one of my favorites, and I adore the live action remake. I must have this in my life. What a fun little photo shoot. I know when I was a little girl I always loved Belle because I was also a bookworm. So glad that I was able to see the movie when it was in the theaters! 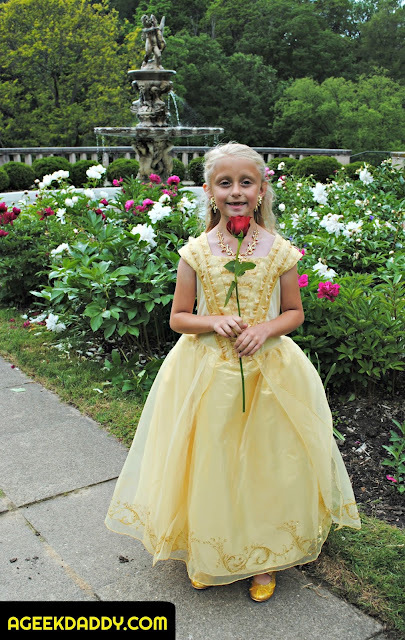 My daughter wore a Belle dress to her prom. Your daughter looks so sweet in her dress. Oh my goodness how lovely does your daughter look, enjoy watching Beauty and the Beast, I'm looking forward to seeing it myself. This is adorable! What a life long memory of this moment that your daughter will have forever. Every little girl deserves to dress up as a princess at least once in her lifetime. Beauty and the beast is my FAVOURITE Disney Movie! I was invited to Toronto's Casa Loma to watch it! What a fabulous movie!! Your daughter looks gorgeous! It's been a favorite of mine ever since and I think it's amazing that Disney has released a DVD! I'd love to have it in my collection! The live action film is incredible. This is too freaking cute! We love Beauty and the Beast in our family and home. Belle is my favorite Disney Princess! What an exciting event for both of you. Your daughter is so pretty. haha! This is so cool! Beauty and the best is my favorite disney movie and i love it so much. I love beauty and the beast but I haven't seen the new one yet. Ill have to get it when it comes to Redbox. Looks like your daughter is loving the costume! Oh my gosh! I love Beauty & the Beast, I watched the live action film last night for my mom's birthday! This has been my favorite movie since I first saw it! This looks like so much fun! 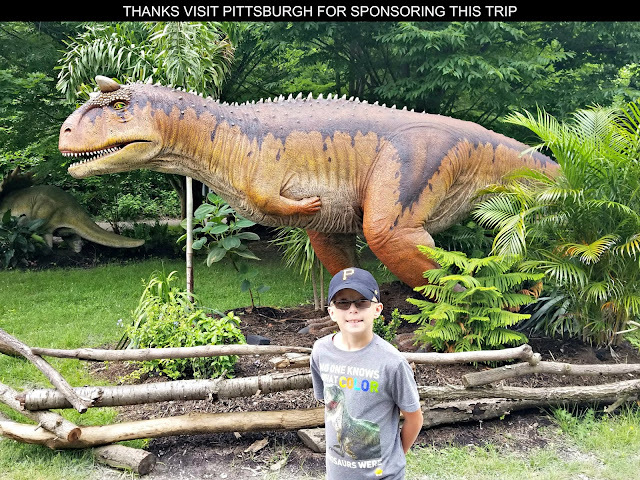 What an amazing experience for your daughter! What a sweet memory for your daughter. Kuddos to you for dressing up with her and making such a special moment for her. 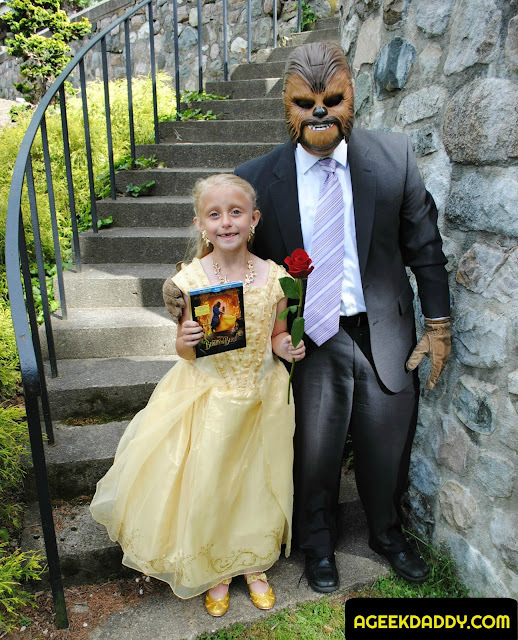 My niece is a huge fan of beauty and the beast! I'm pretty sure she would love it. Ok, this is seriously the cutest photoshoot ever. I still need to see Beauty and the Beast. It was supposed to be a treat for my birthday but things didn't work out. Will have to pick up the dvd asap! I love these sweet photos. 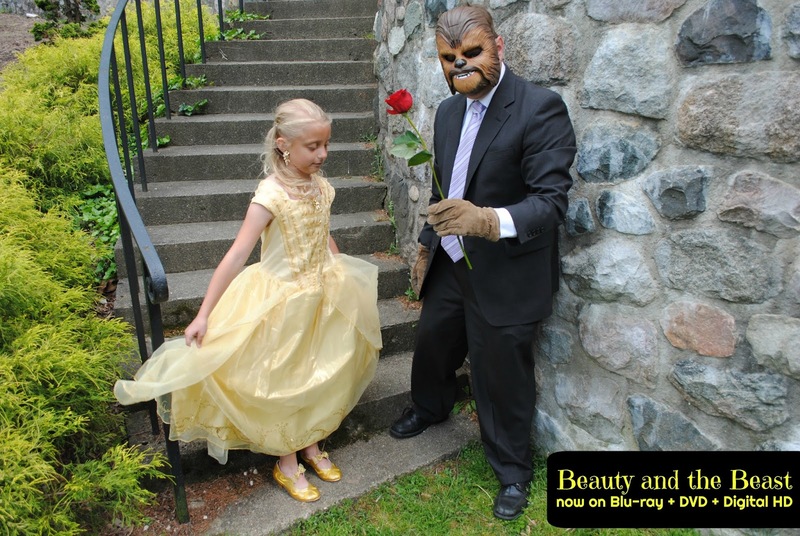 We have not seen the new Beauty and the Beast yet, but we want to!